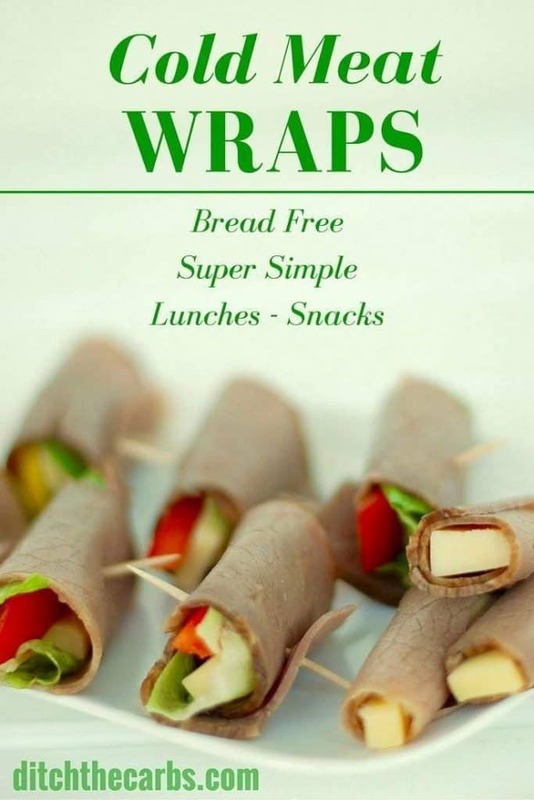 These are such a great alternative to wraps or sandwiches. 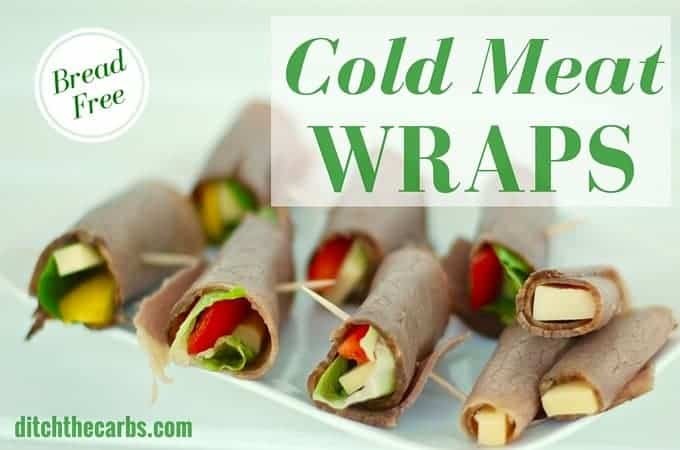 Cold meat wraps are so easy and so versatile. Any thin cold meat will do and are fabulous for lunch or a snack. Low carb and grain free simplicity at it’s best. Instead of bread or wraps, use thin slices of cold meat instead and make bread free rolls. You can use any cold meat you like and any filling you like. I usually add cheese, capsicum etc and then roll it all up in the ham. Voila! There are so many ideas for bread free and wheat free school lunch boxes. 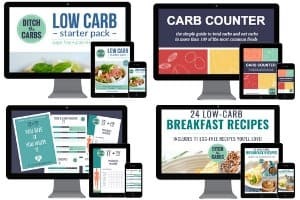 Take a look at my 8 part series on Low Carb Kids. All the school lunches I make are low carb, wheat free, grain free, gluten free and packed with nutrition. If you are new here read this post and this post compares a regular lunchbox with a low carb real food lunchbox.